Bedford Point– a 13,115 sq ft self-contained office building on Dingwall Road, Croydon - has been let to Sopra Steria Ltd by SHW at a rental equivalent to £27.50 per sq ft. The lease expires in November 2023 with tenant breaks in 2021 and 2022. 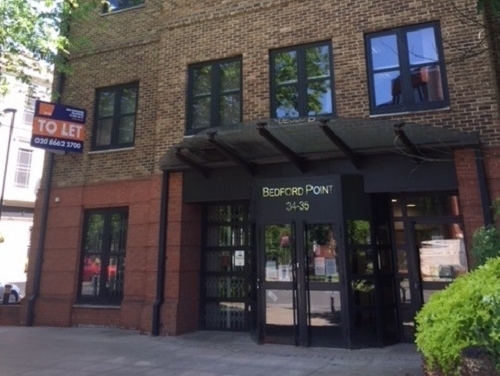 The freehold investment of Bedford Point is now available to purchase with a guide price of £5.2m which reflects a net initial yield of 6.4%. The building comprises offices at ground to third floor with 11 car spaces to the rear. Dingwall Road is close to the £1.4bn Hammerson / Westfield development site and one minute’s walk from East Croydon train station. All interested parties are recommended to speak with SHW LLP or Chris Freer-Smith Ltd.